We are committed to the success of each client’s clinical objectives. Our clinical project managers will ensure that your project meets study timelines and is conducted to rigorous standards. 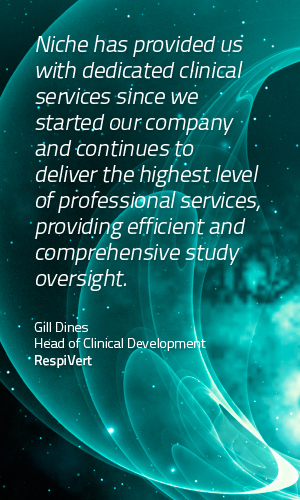 We can provide a tailored service to support pre-clinical and clinical researchers bringing compounds to trials in humans, by facilitating trial set-up, providing assistance in preparing sites for clinical trials and ensuring that regulatory and ethical requirements are met. We can fill gaps in expertise or resources in the form of a full service package from concept to final study report, or by providing individual services as and when they are needed.